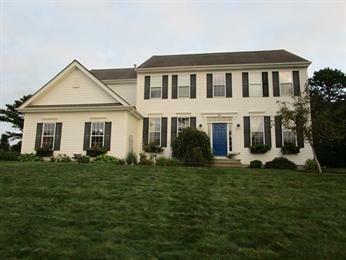 Spacious, bright and roomy multi-level home has so much to offer. Main level consists of hardwood floors, Formal Living Room with wood burning fireplace, Formal Dining Room with wainscoting and built in china cabinets flanking the pocket doors, Eat in kitchen with stainless steel appliances. 3 large bedrooms and 1 1/2 baths. Sunk in Family Room with gas stove, LARGE window seat, cathedral ceiling and skylights. Large MASTER bedroom over garage with master bath, walk in closet and more. Separate bathing and dressing areas. Custom shutters and plenty of vanity space. Partially finished basement, laundry area , large utility area complete with whole house GENERATOR which takes seconds to turn on when the electricity goes out. Central Air throughout. Living Room TV, Bedroom TV, wall mounts and surround sound included. Deck off the back of the house over looking large backyard. Over sized 2 car garage. Nothing to do but move in. This home is waiting for you! 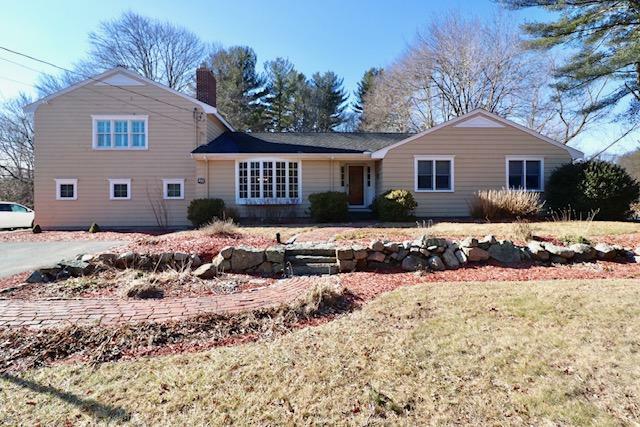 Located in the Pine Hollow section of The Ponds of Plymouth…This bright, spacious and beautiful 9 room 4 bedroom 2 1/2 bathroom home is waiting for you. Large eat in kitchen with NEW granite counter tops, NEW gorgeous quartzite top center island, NEW stainless steel appliances, sink and faucet. Beautiful red oak hardwood floors floors stripped and refinished with rubio monocoat May of 2018. Large family room with gas fireplace. Custom blinds in both kitchen and family room. Cathedral foyer, Open floor plan living room to dining room. MasterBed, masterbath and large walk in closet. Most of the lighting has been upgraded. Great corner lot with Irrigation. Sliders off kitchen to deck in the lovely backyard and the perfect place to enjoy your morning coffee or tea. 2 car garage and full basement. Furnace is prepped for AC, you just need the condenser. Many upgrades. Vinyl siding for easy maintenance. Beach rights to Whites Pond. 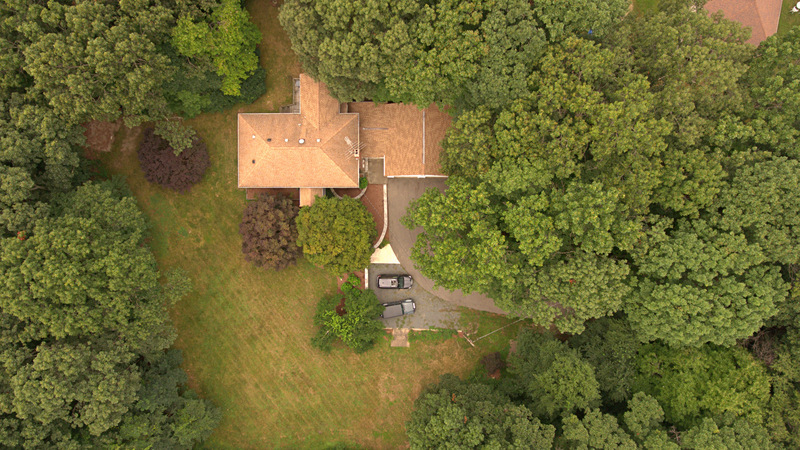 Call Jeanne Hickey at 781-856-7077 for private showing. This house is not a drive by. 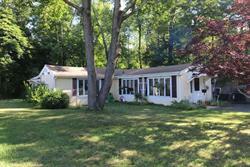 Sitting on 3/4 acres this remodeled house is ready to enjoy for the holidays. 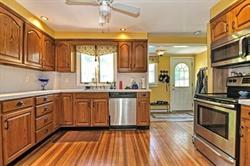 All new eat in kitchen with white cabinets, quartz countertops, walk in pantry and new appliances. 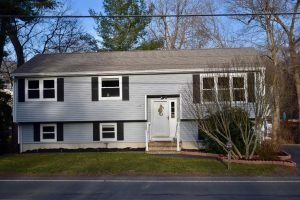 Dining room has beautiful refinished wide pine floors, living room has a wood burning fireplace, hardwood floors and recessed lights. 1st floor bath is all new with walk in shower and sliding barn door. 2nd floor has 4 nice size bedrooms with ample closet space, laundry and new full bathroom. Garage is at back of house so would be best for a workshop or storage. Heating system is 2 zones and 2014, windows 2018 except 4 on 2nd floor(older) and front living room window is 9 years old. 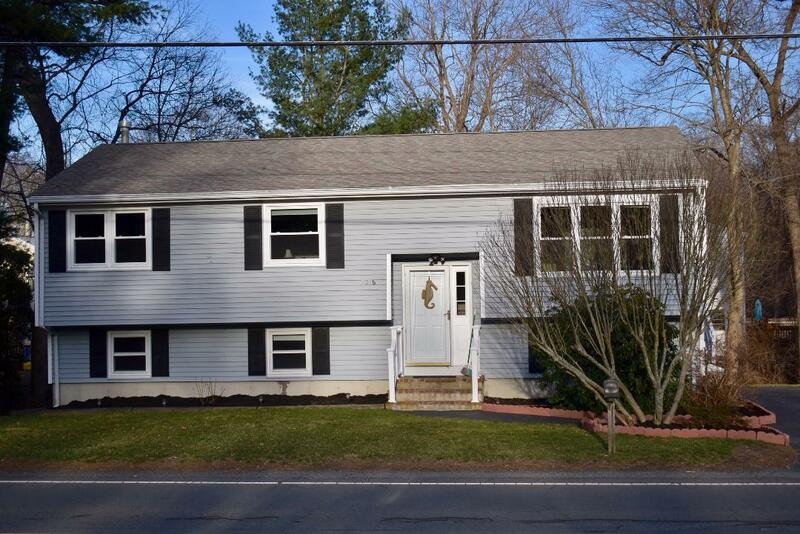 Large partially fenced yard backs up to old cranberry bogs for nice privacy. Well maintained split level home is situated on 2+ private acres with beautiful mature plantings and professionally landscaped yard. 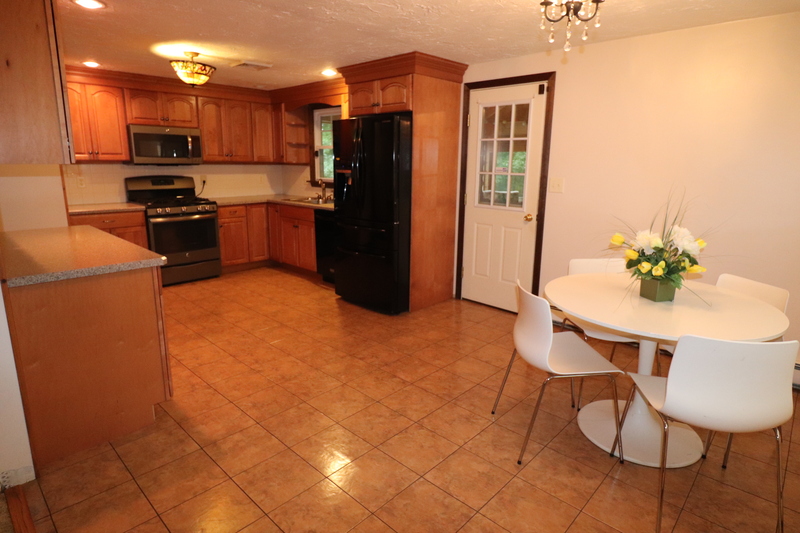 Kitchen has quality maple cabinets, gas stove, built in microwave, dishwasher, double sink and Samsung french door refrigerator. Dining area is open to living room with wood burning fireplace. Large screened porch with cathedral ceiling overlooks backyard. Lower level has family room with small bar area and sink, full bath, laundry room, large cedar walk in closet, office room, and storage room. 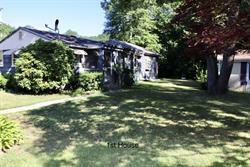 Full walk out to yard and a 2 car, propane heated garage with electric door openers and walk up storage above. Newer Generac generator so you don’t have to worry about power outages, sides and back of house has new vinyl siding (2018), garage and office roof is 2018 and rest of roof is around 8 years old. Weil Mclain heating system is approximately 4 years, central a/c unit and replacement windows installed about 07. Monitored security system in place. Come take a look at this 4 bedroom home on corner lot side street location. For those looking for 1 level living this may be it! 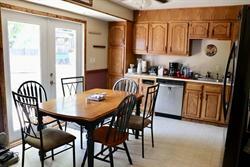 Kitchen has a wood stove to take the winter chill off and exterior access to deck and fenced yard. This home needs some love and someone to make it their own. Will not work for FHA or VA financing. 24 hours notice preferred for showings. 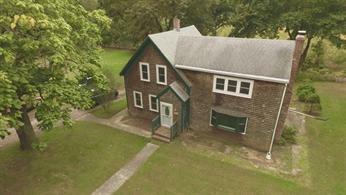 A rare find of 2 houses on 1 lot. So many different possibilities with the unique setup of 2 separate homes. The larger home is approximately 1,012 square feet of living area, 2 bedrooms, 1.5 bathrooms, kitchen with breakfast bar and dining area and nice size living room and enclosed porch. 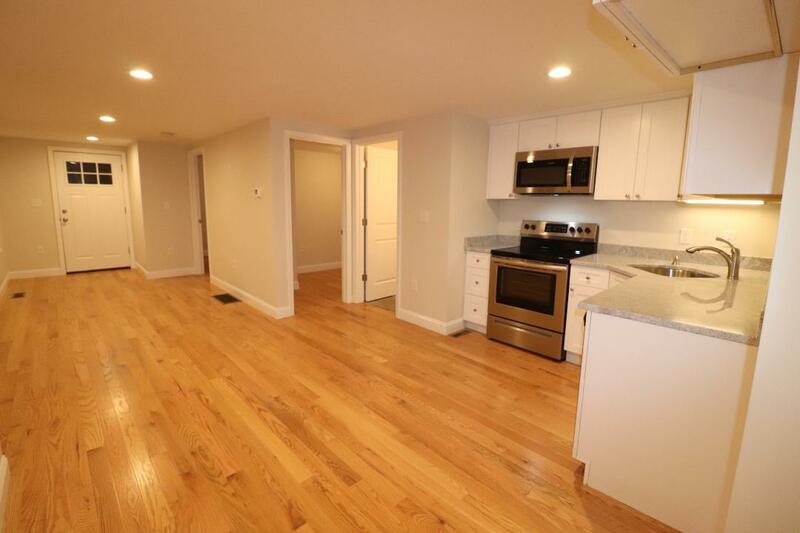 This unit also has a basement. The 2nd home is currently rented and has a tenant of 5 years who maintains the landscaping and would like to stay if possible. This unit has forced hot air and central air and not basement but utility shed attached to back of house. 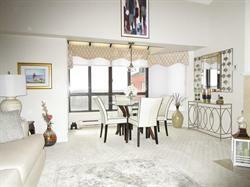 Gorgeous Duplex Penthouse at the highest point in Weymouth is waiting for you! Best of the Best! Western Sky exposure from the 8th and 9th floors where you will enjoy the most SPECTACULAR SUNSETS and the changing colors of the trees on The Blue Hills from the balcony, living room and both bedrooms!! Open floor plan kitchen, living and dining area is the perfect place to entertain or just sit quietly, relaxing in front of the wood burning fireplace with a favorite book. Beautiful kitchen with breakfast bar, stainless steel appliances, trash compactor and garbage disposal all 1.5 years old. Main level also consists of 1 bedroom, 1 full bath and in unit washer and dryer. Second floor boasts beautiful family room loft, master bedroom and master bath with jacuzzi tub. There is plenty of visitor parking in front of the building. On site Superintendent. Don’t miss out on this gem!